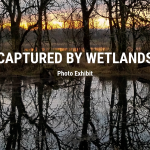 To celebrate beavers and their contribution to the ecology of Oregon, The Wetlands Conservancy and The City of Beaverton Arts Program have partnered to host the final showing of the Beaver Tales Art Exhibit and Sale at Beaverton City Hall. The exhibit and sale will be on display November 3, 2017, through January 2, 2018, at Beaverton City Hall. A community celebration will be held on Monday, November 20, 2017, from 5-7 p.m. at Beaverton City Hall. 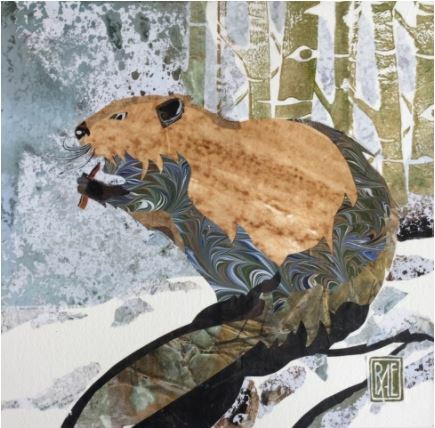 Throughout the exhibit’s year-long run, 90 artists have contributed 150 Beaver themed artworks of all kinds, from paintings to fiber, wood, stone, glass and ceramics. With regional and local artists displaying their work, this exhibit brings together a multitude of styles, creativity and attention to our state animal, nature’s engineer. Twenty percent of art sales will support The Wetlands Conservancy’s work to conserve Oregon wetlands. The 1852 Oregon public land survey shows abundant marshes and wet fields in the Beaverton we know today. In fact, it was the beaver who first laid claim to the lands in and around present-day Beaverton. It was called “Chakeipi,” which meant “place of the beaver,” by the Atfalati branch of the Kalapuya Tribe due to the huge concentration of beavers and beaver dams in the area. The work of beaver over the course of thousands of years created an ideal situation for the early settlers, who arrived in 1847. By draining the dams the settlers gained access to acres and acres of cleared, arable land with rich soil upon which they started farms. Beaverton has grown into a city of almost 100,000 people, and while the beaver can be found in many logos and mascots, beavers were virtually non-existent in Washington County until the last fifteen years. The return of the beaver to streams, wetlands and human-occupied areas in Beaverton and the Tualatin Basin has caused some localized flooding and loss of vegetation, which has led some people to call them pests or nuisance animals. At the same time, we are recognizing that beaver create wetlands; spawning and rearing habitat for salmon and steelhead; habitat for insects, birds and amphibians; and create pools that keep water clean and moderate fluctuations in water flow. They are nature’s hydrologists. Beaver Tales Art Exhibit is a celebration and recognition the positive benefits that beaver play in Oregon. Thanks to art show sponsors, Arlene Schnitzer and the Reser’s Fine Foods. Our admiration and gratitude go to all the artists who have become Oregon’s best beaver ambassadors. Please visit our catalog of exhibit artwork and links to the artists. The Wetlands Conservancy has established new partnerships with Oregon State University SPARK Program, LeSells Stewart Center Art Gallery, Lake Oswego Arts Council, North Coast Land Conservancy, Necanicum Watershed Council, Nehalem Community Center, Upper Nehalem Watershed Council, Oregon Zoo and City of Beaverton Arts Program. We look forward to continued collaborations on beaver and wetland education and conservation. Special thanks to Sara Vickerman Gage and Jeff Gage who have moved and hung and rehung all the art pieces at each location. Artwork: “Smart Beaver,” mixed media by Rene Eisenbart, on display Nov. 3, 2017 to Jan. 2, 2018, in the Beaver Tales Art Exhibition. The quality and diversity of art forms in Emily’s work is fantastic!